With headquarters in Dakar, Senegal, Ringier Africa Digital Publishing (RADP)’s (www.RADP.africa) Ringier Digital Marketing (RDM) Afrique & Pulse Live Afrique have now been established to serve users and clients in Senegal, Côte d'Ivoire and further countries in French-speaking Africa. 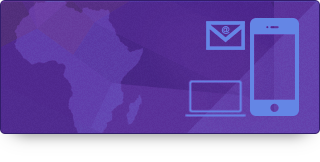 Over the past years, Ringier Africa Digital Publishing (RADP - www.RADP.africa), Ringier AG’s African integrated media group has grown rapidly to develop quality publishing and creative, data-driven digital marketing solutions in Africa - with offices across Sub-Saharan Africa. Its two major initiatives are on the one side its new media publisher Pulse with its mass media publications and social channels in Nigeria (www.pulse.ng); Ghana (www.pulse.com.gh); Kenya (www.pulselive.co.ke) and Uganda (www.pulselive.ug). Pulse now reaches over 175 million unique users across its platforms and channels combined and over 170 million video views per month - covering news, sports, entertainment, lifestyle and more. Its license brands New York Times, Business Insider and Men’s Health/Women’s Health hosted on the Pulse infrastructure in Africa complement this content offering. On the other side, Ringier Digital Marketing (RDM - www.RDM.africa) is Ringier’s complete digital partner, merging technology, media and creativity to provide corporates and SMEs alike with cutting-edge, 360-degree digital-first marketing and digital enterprise solutions. Its sister brand Play Studio (www.Play.RDM.africa) is focused on creative content solutions with dedicated video, graphic and editorial teams across the continent. This set-up is now officially being added to by the offerings being made fully available also in Francophone Africa. Specifically, the marketing offering Ringier Digital Marketing (RDM) Afrique has been established with a careful build-up over the past year - gaining experience with clients in the markets Senegal and Côte d'Ivoire and beyond. Pulse Live Afrique has been established with a dedicated curator, bringing its unique content approach to the markets too. With an initial focus on social distribution, it will grow its social channels on Facebook(www.facebook.com/pulseliveafrique), Instagram(www.Instagram.com/pulseliveafrique/), Twitter (https://Twitter.com/pulseafrique) and Medium (https://Medium.com/@pulseafrique/) to reach users across the region - and also bring content from the region to its other African presences and beyond. Distributed by APO Group on behalf of Ringier AG. For further information on how Ringier Digital Marketing (RDM) Afrique (www.RDM.africa) & Pulse Live Afrique and its sister brands can help you reach millions of people in Senegal, Côte d’Ivoire and further Francophone Africa, get in touch directly with Caroline Mbodj via Caroline@Ringier.sn or +221 33 827 83 03. Ringier Africa’s media & marketing business venturing further into Francophone Africa The marketing offering Ringier Digital Marketing (RDM) Afrique has been established with a careful build-up over the past year - gaining experience with clients in the markets Senegal and Côte d'Ivoire and beyond DAKAR, Senegal, September 14, 2018/APO Group/ -- With headquarters in Dakar, Senegal, Ringier Africa Digital Publishing (RADP)’s (www.RADP.africa) Ringier Digital Marketing (RDM) Afrique & Pulse Live Afrique have now been established to serve users and clients in Senegal, Côte d'Ivoire and further countries in French-speaking Africa. Over the past years, Ringier Africa Digital Publishing (RADP - www.RADP.africa), Ringier AG’s African integrated media group has grown rapidly to develop quality publishing and creative, data-driven digital marketing solutions in Africa - with offices across Sub-Saharan Africa. Its two major initiatives are on the one side its new media publisher Pulse with its mass media publications and social channels in Nigeria (www.pulse.ng); Ghana (www.pulse.com.gh); Kenya (www.pulselive.co.ke) and Uganda (www.pulselive.ug). Pulse now reaches over 175 million unique users across its platforms and channels combined and over 170 million video views per month - covering news, sports, entertainment, lifestyle and more. Its license brands New York Times, Business Insider and Men’s Health/Women’s Health hosted on the Pulse infrastructure in Africa complement this content offering. On the other side, Ringier Digital Marketing (RDM - www.RDM.africa) is Ringier’s complete digital partner, merging technology, media and creativity to provide corporates and SMEs alike with cutting-edge, 360-degree digital-first marketing and digital enterprise solutions. Its sister brand Play Studio (www.Play.RDM.africa) is focused on creative content solutions with dedicated video, graphic and editorial teams across the continent. This set-up is now officially being added to by the offerings being made fully available also in Francophone Africa. Specifically, the marketing offering Ringier Digital Marketing (RDM) Afrique has been established with a careful build-up over the past year - gaining experience with clients in the markets Senegal and Côte d'Ivoire and beyond. Pulse Live Afrique has been established with a dedicated curator, bringing its unique content approach to the markets too. With an initial focus on social distribution, it will grow its social channels on Facebook(www.facebook.com/pulseliveafrique), Instagram(www.Instagram.com/pulseliveafrique/), Twitter (https://Twitter.com/pulseafrique) and Medium (https://Medium.com/@pulseafrique/) to reach users across the region - and also bring content from the region to its other African presences and beyond. Tim Kollmann, Group CEO of Ringier Africa Digital Publishing (RADP) emphasises the dedication of the company to continue to provide world class content and digital solutions in Africa: “Sub-Saharan Africa’s internet users are at the cutting-edge of modern, social, mobile and video content consumption - through the huge rise of mobile phones and social networks on the continent. However, the available local content and advertising has not alway kept up with this development. This is where we come in with the trusted mass media brand Pulse, our digital marketing & services provider Ringier Digital Marketing and our commercial content production house Play Studio.” Caroline Mbodj, Head of Ringier Digital Marketing Afrique, based in Dakar, Senegal: adds: “In Senegal, Côte d’Ivoire and beyond, the digital revolution is being felt by both people and corporations. We are here to help companies use the internet to their advantage - marketing effectively and efficiently to grow their sales. The content expertise of Pulse will additionally help us to tell great stories for our clients.” Distributed by APO Group on behalf of Ringier AG. Rendered in 0.6452 sec. using 5.63MB.